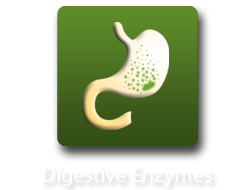 Digestive Enzymes are formulated to activate in the stomach, aiding in the digestion process. 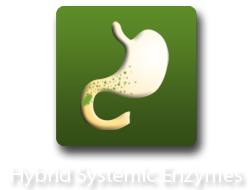 Hybrid Systemic Enzymes offer both digestive and systemic benefits by releasing active enzymes throughout the digestive tract. 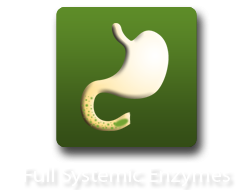 Full Systemic Enzymes are 100% enteric coated for delayed release. Once past the stomach, they become active for full systemic delivery. Vegetarian Full Systemic Enzyme in a liquid gel capsule. The original enteric coated Full Systemic Enzyme. A premium Hybrid Systemic Enzyme blend. The Original Vitalzym, VitalzymCardio, and Vitalzym Xe are manufactured by World Nutrition, leaders in systemic enzyme oral delivery systems. Vitalzym ingredients, including serrapeptase, are high potency and pharmaceutical grade. The Original blend has been one of the most recommended enzymes over the past ten years. As a hybrid systemic enzyme it begins to break down in the stomach, offering both upper GI benefits as well as systemic benefits. Original Vitalzym dosage varies greatly by user, with most using 3 capsules, 3 times daily. VitalzymCardio, also a hybrid systemic enzyme, was formulated specifically for cardiovascular wellness. Nattokinase, derived from fermented soy, is added to the Vitalzym ingredients as a key fibrinolytic enzyme. It is typically taken in lower doses, such as two capsules, twice daily. Vitalzym Liquid Gel capsules are enteric coated, protecting the entire enzyme from breaking down in the stomach. This means more enzymes are available for absorption in to the blood stream, making it a powerful full systemic enzyme. Gel capsule Vitalzym dosage is typically 3 capsules, twice daily. Vitalzym Xe, formerly known as Vitalzym X, is also a full systemic enzyme available as a liquid gel capsule. The newer Xe version is significantly stronger than the previous Vitalzym X, and is exactly half the Vitalzym dosage as the regular liquid gel capsule. The Xe version has the same Vitalzym ingredients as the previous Vitalzym X blend. Visit Vitalzym for more information. Express Naturals is one of four "Preferred Retailers" for World Nutrition products, including all of the Vitalzym products. World Nutrition requires that official authorized distributors no display any advertised pricing for Vitalzym Xe. Email us today or call 1-800-556-1314 to inquire about our pricing for the VitalzymXe 180 Capsule Boxes. We guarantee to be the lowest price of any authorized Vitalzym distributor. The new Zymessence has been reformulated by WAM Essentials. Express Naturals has discontinued distributing Zymessence. We are excited to offer a solvent-free alternative that contains the same powerful enzymes as Zymessence, in addition to Nattokinase NSK-SD, Seaprose-S, and Superoxide Dismutase. Fibrenza Systemic Enzyme is new from HCP Formulas. The blend contains the most effective enzymes available today, without the use of acrylic enteric coatings. The enzymes are protected by an advanced plant-derived cellulose barrier that offers the benefits of traditional enteric coatings, without the worry of residual solvents. Trevinol contains systemic enzymes, including serrapeptase and nattokinase, as well as probiotics. This blend is worth trying for those suffering from GI problems, such as candida. Neprinol AFD is an extremely powerful hybrid systemic enzyme that is used widely as a fibrin dissolver. It�s fibrinolytic properties make it beneficial for cardiovascular wellness and is used by many in their anti-aging protocols. Neprinol also contains both serrapeptase and nattokinase. Wobenzym is the original full systemic enzyme. This bovine derived enzyme blend has been recommended by doctors for decades for natural inflammation control. Be sure to read more about all of our products in our Enzymes and Enzyme Education sections to determine which blend would be most beneficial for your situation. Vitalzym products are designer systemic enzymes formulated for enhanced body-wide absorption and efficacy. Systemic enzymes are a group of enzymes that are not dissolved in the upper gastrointestinal tract, but are rather released in to the blood stream through the small intestine. Vitalzym and Vitalzym Xe are among the most prescribed dietary supplements by health professionals. This is due to their ability to have dramatic effects on the body for a variety of health issues. Vitalzym was originally introduced in 2001 by World Nutrition. Many systemic enzyme formulas were already on the market, however Vitalzym�s penetration in to the daily regimen of health care practices was swift due to its advanced delivery system. Whereas competitive products would require as many as 30 capsules a day, Vitalzym�s delivery system and complex formula allowed for results with as little as 3-9 capsules daily. Original Vitalzym, often referred to as Vitalzym Blue, is still available in the 90 count and 450 count bottles. It is in the form of powder in a vegetarian capsule. This blend should be taken away from meals, typically an hour before or after. Many health providers start their patients with 3 capsules, 3 times daily. If the user doesn�t feel any benefit after a few days, the dosage is increased to 4 capsules, 3 times daily. This may be increased again if required. Once a beneficial dosage is achieved, users can begin to reduce the dosage after a couple weeks to a maintenance dosage. Each person�s reaction to Vitalzym is unique, so World Nutrition has formulated it so that dosages may be tweaked without harmful side effects. Vitalzym Cardio is a blend that was formulated with heart health as its specific focus. The enzyme blend contains nattokinase and CoQ10, which have been shown to have beneficial cardiovascular effects. This blend was formulated to be taken in lower dosages. There is no need for an activation dosage. World Nutrition recommends 3 capsules daily. Vitalzym Liquid Gels are an advanced version of the original blend. The same ingredients have been put in to a true enteric coated liquid capsule, allowing for up to 100% of the enzyme blend to be available for absorption in the small intestine. None of the enzyme is wasted by the acidic conditions in the stomach. Users are often able to take a reduced dosage as compared to the original Vitalzym. Vitalzym Liquid Gels are available in 180 and 360 capsules bottles. These capsules should be taken about 30 minutes before a meal for optimal absorption. Many providers recommend 3 capsules, twice daily as a starter dosage. A typical maintenance dosage would be 2-3 capsules, 2-3 times daily. Vitalzym Xe is a more potent form of the Vitalzym Liquid Gels. Basically the blend has twice the strength of Vitalzym Liquid Gels. The cost per enzyme dose is roughly equivalent between the two products, so the Xe is better for those who don�t like swallowing pills. Though double the pills are required from the Vitalzym Liquid Gels, man still prefer it over the Xe due to the ability to split doses in half. VitalzymXe is available in a 180 count blister pack. Most users find an activation dosage between 2-3 capsules, 2-3 times daily. Maintenance dosages are typically 1-3 capsules, 1-2 times daily. Serrapaptase, also known as serratiopeptidase, is a key fibrin cleansing enzyme in the formula. Originally from the intestine of a silkworm, the enzymes in cultured from a bacteria to create the dietary supplement. Serrapeptase is susceptible to being destructed by stomach acids, so it is best when enteric coated. Bromelain is a powerful fruit enzyme with anti-inflammatory properties. It�s been used widely for decades. Papain is a fruit enzyme from papayas. Amylase and Lipase digest carbohydrates and fats, respectively. Rutin is a bioflavanoid that is thought to improve capillary strength. Nattokinase (Vitalzym Cardio only) is a powerful fibrinolytic enzyme that is derived from soy. CoQ10 (Vitalzym Cardio only) is a cardiovascular friendly co-enzyme. Users may experience detoxification symptoms when first taking Vitalzym products. Symptoms may include headache, fogginess, nausea, diarrhea, or bloating. These symptoms are the results of the enzymes detoxifying the body. You may choose to reduce the severity of these symptoms by decreasing your dosage and increasing water intake.